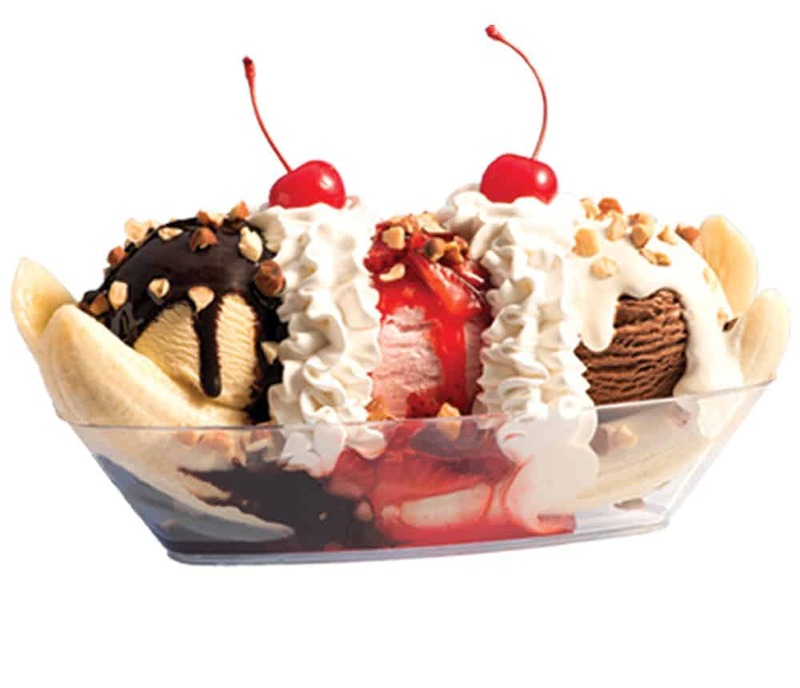 Braum’s Old Fashioned Banana Split is the ice cream classic that never gets old. We nestle one big dip of vanilla ice cream covered with chocolate syrup, one big dip of strawberry ice cream covered with strawberry topping and a big dip of chocolate ice cream covered with marshmallow topping into a split banana. Almonds are sprinkled on top, and the whole thing is crowned with whipped cream and two sweet cherries.